The Poseidon-2 Altimeter is used on the satellite Jason-1. 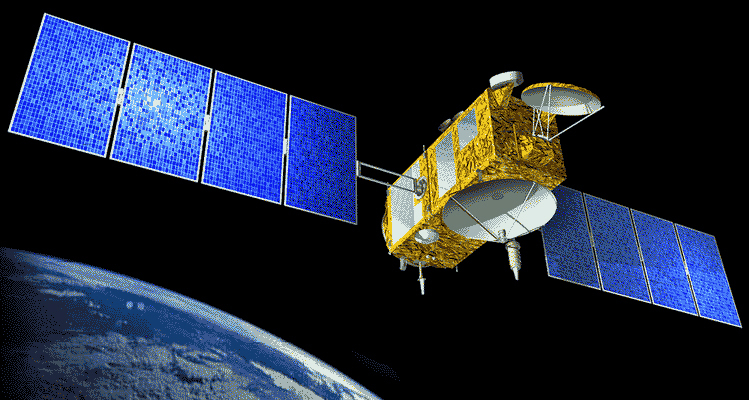 Jason-1 was launched from Vandenberg Air Force Base in California on December 7, 2001, as the follow-on to TOPEX/Poseidon, which successfully collected science data from 1992 to 2005. Both missions are a partnership between NASA and the French space agency, CNES. Covering 95% of Earth's ice-free ocean every 10 days, Jason-1 continues the critical data record of ocean surface topography to an accuracy of 3.3 centimeters (1.3 inches), increasing our understanding of ocean circulation and the oceans' role in climate. Poseidon-2 is the mission's main instrument, derived from the experimental Poseidon-1 altimeter on Topex/Poseidon. It is a compact, low-power, low-mass instrument offering a high degree of reliability. Poseidon-2 is a radar altimeter that emits pulses at two frequencies (13.6 and 5.3 GHz, the second frequency is used to determine the electron content in the ionosphere) and analyses the return signal reflected by the surface. The antenna is a parabolic reflector with a diameter of 1.2 meters and a gain of 42 dB. Its transmitter is a solid state power amplifier. Jason-1's high altitude (1,336 kilometers) reduces interactions with the Earth's atmosphere and gravity field to a minimum, thus making orbit determination easier and more precise. Furthermore, using the same orbit as Topex/Poseidon ensures better intercalibration and data continuity. The orbit is also designed to pass over two dedicated ground calibration sites: Cap Senetosa in Corsica and the Harvest oil rig platform in California, USA. The signal's round-trip time is estimated very precisely in order to calculate the range, after applying the necessary corrections.